Since the dawn of digital engagement tools, public engagement has suffered from an echo chamber effect where a small handful of people dominate both the online and offline public involvement process. This makes outreach a key piece of any public involvement effort. But, we kept seeing one frontier that public engagement practitioners have yet to tackle - online news. Why not meet residents when they’re reading local news? Local media has been consistently rated as the most trusted of all media. Yet it’s been difficult for local governments to leverage that trust. 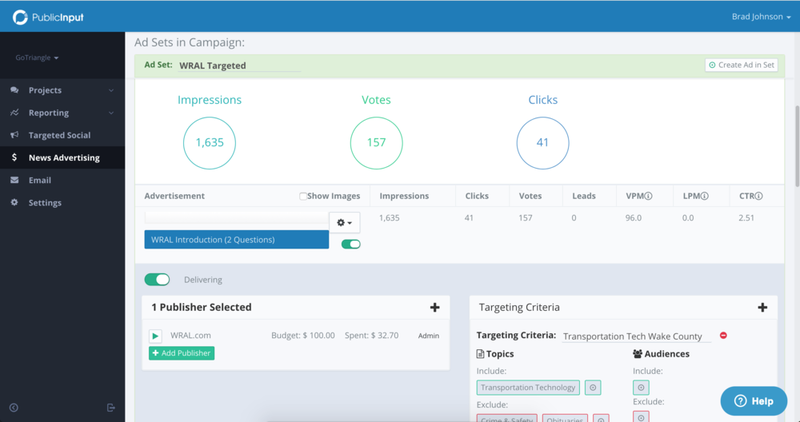 Newsrooms can include some links to local government sites, but adding interactive surveys and maps has been a non-starter for technical and logistical reasons. Enter PublicInput.com’s news advertising module. Through partnerships with local media outlets, agencies on PublicInput.com can now dynamically add their surveys into related news content. Media partners are not only compensated for the exposure they provide for key projects but also benefit from increased article engagement and social sharing. GoTriangle, the regional transit agency of the Raleigh-Durham area, was conducting follow-up outreach for the Wake Transit plan and needed to reach a broader Wake County audience. 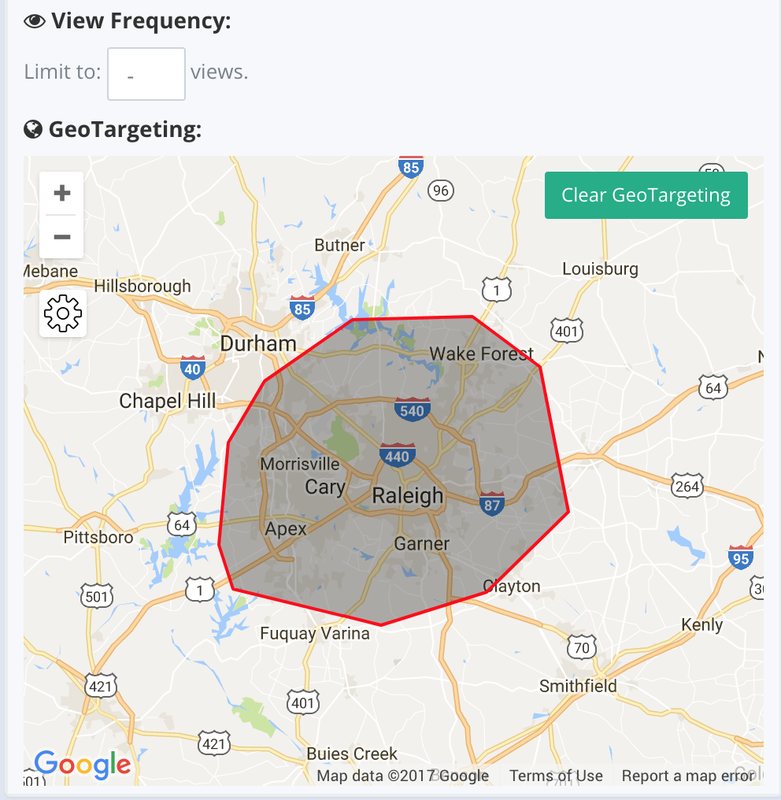 Since our news partner, WRAL.com, was already covering the transit plan update GoTriangle saw an opportunity to leverage this new integration to embed their survey in WRAL.com articles. Using the PublicInput.com news embed tools, GoTriangle’s survey was presented in-article alongside information about the plan. Readers were able to participate and respond on the page and then were directed to the full survey. In GoTriangle’s case and in other early tests, the results have consistently shown that not only does this approach increase participation, but also diversifies the participants in each process. A combination of broad and deep involvement ensures defendable outcomes in projects and initiatives. Imagine the next time you’re checking out rush hour traffic on the local news station, you encounter a survey about transit. While reading about a proposed development, you encounter an interactive explainer of community development ordinances. This is the start of something fundamentally new in the civic tech space. We invite you to be part of that. We’re on boarding strategic media partners in markets where we serve numerous public agencies. If you’re in one of those markets, integrations can begin immediately. Unsure if your media partner is on boarded? Drop us a note at News@PublicInput.com. In cases where we don’t have an existing news relationship, we can activate your media toolkit to include embed snippets to include with press releases to allow for manual embedding in stories. Interested in learning more about how PublicInput.com can leverage local media for your initiatives?